Rapid advances in synthesis of graphene and 2D materials, and fabrication methods for functional devices enable sophisticated types of functionality and their application to various emerging electronics, such as flexible, wearable and bioelectronics, that cannot be addressed with conventional materials. 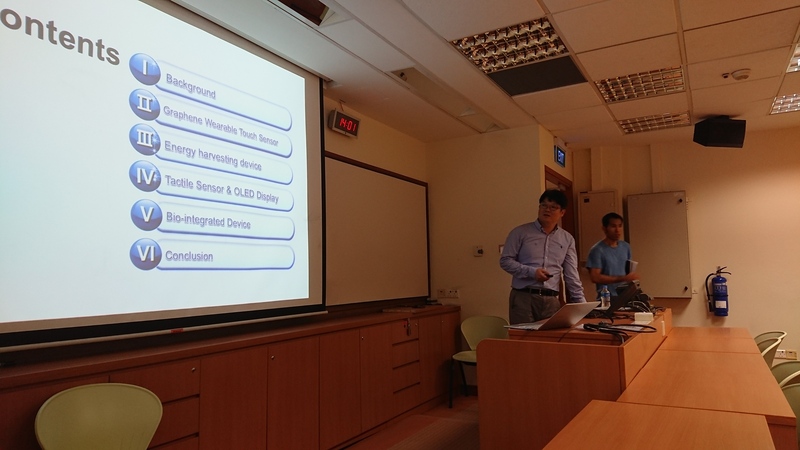 In this talk, Prof Jong-Hyun Anh presented the manipulation of graphene, and use in various device components for wearable and bio electronics. Examples of devices include touch and tactile sensors, and bio-integrated devices. 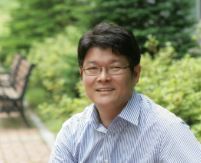 Jong-Hyun Ahn holds Underwood distinguished professor at Yonsei University, Korea. He has worked as a director of the Center for strain engineered electronic devices, supported by National Research Foundation of Korea. His research includes fundamental and applied aspects of nanomaterials and fabrication for flexible and stretchable electronic devices, and recent interest focuses on 2D material based wearable electronics with an emphasis on bio-applications. Jong-Hyun Ahn has authored more than 165 papers (H-index: 57, Total citation #: > 29,000), and is an inventor of more than 60 patents and has received numerous scientific awards, including the ICT innovation award from the ministry of science and technology (2016). the Presidential Young Scientist Award (2011) and the IEEE George Smith Award (2009).